Tveitite-(Y): Mineral information, data and localities. 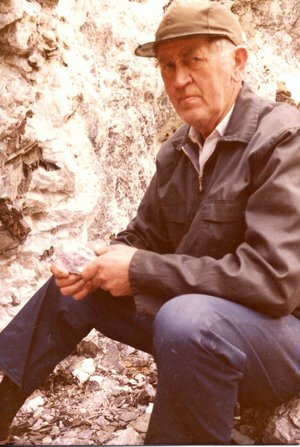 Name after John P. Tveit (1909 - 1978), quarry owner of Høydalen, Telemark (Norway). 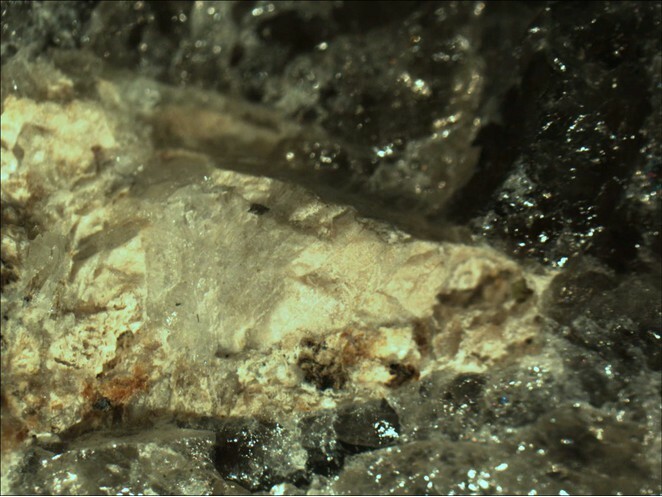 This page provides mineralogical data about Tveitite-(Y). Kamphaugite-(Y) 1 photo of Tveitite-(Y) associated with Kamphaugite-(Y) on mindat.org. Clinozoisite 1 photo of Tveitite-(Y) associated with Clinozoisite on mindat.org. Bergstøl, S., Jensen, B.B., Neumann, H. (1977) Tveitite, a new calcium yttrium fluoride. Lithos, 10, 81-87. Journal of Solid State Chemistry (1982): 44: 75-81. Yakubovich, O.V. et al (2007) Crystal structure of tveitite-(Y): fractionation of rare-earth elements between positions and the variey of defects. Crystallography Reports, 52, 71. Frigstad, O.F. 1968: En undersøkelse av cleavelanditsonerte pegmatittganger i Iveland-Evje, nedre Setesdal. PhD thesis, University of Oslo. Bergstøl, S.; Jensen, B.B. 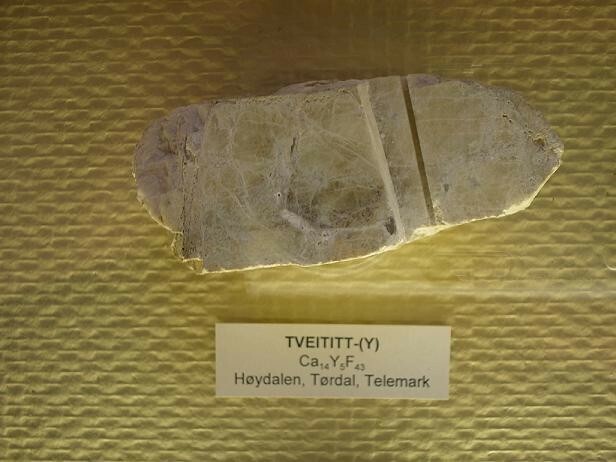 & Neumann, H. (1977): Tveitite, a new calcium yttrium fluoride. LITHOS 10: 81-87; Greis (1978); Bevan et al. (1980); Neumann (1985, p. 51). Crook, W. B. 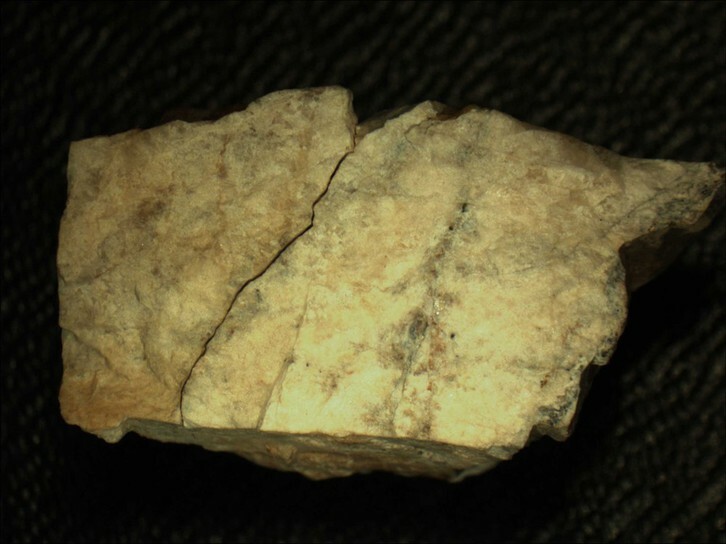 (1978): Tveitite from the Barringer Hill District, Texas. Mineralogical Record. 9(6): 387.